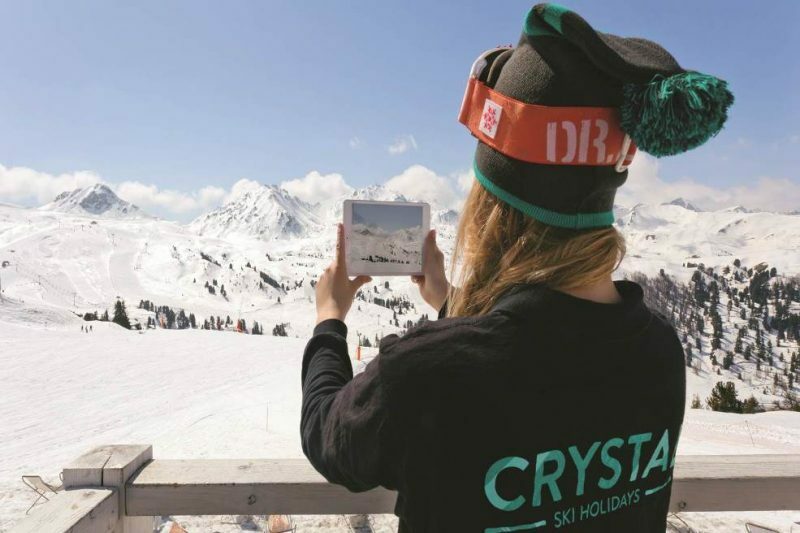 In advance of the coming skiing season, leading Irish winter holiday experts Crystal Ski launched a revolutionary technology programme that, they say, will transform holiday experiences for Crystal customers going to its overseas destinations. This new initiative was launched along with their “Guide to the Mountain” – a comprehensive 188-page guide that’s jam-packed with winter holiday wonders and covering some 119 resorts worldwide. It’s got large-format highly legible piste maps, highlights and colour photos. For picking the perfect French ski resort for you, it makes it a hassle-free experience and has the benefit of some insightful first-hand knowledge from Crystal people on the ground. This winter, iPads loaded with custom-built software will be made available to all 700 overseas employees to help them to deliver a personalised and real-time service to Crystal customers. The service will include a pre-departure video call from the resort team to the customer to discuss all elements of their upcoming holiday from child care to catering arrangements before they even start packing. Online info packs will provide in-depth advice and resort tips, local resort teams will send up-to-date snow conditions to customer’s mobile devices, and in most resorts, Crystal‘s holidaymakers will arrive at the ski hire shop where their skis and boots will be ready and waiting for them, thus avoiding the queues. Also this winter, version 2 of the Crystal Ski Explorer app, released this winter, is designed to help customers get the most out of their mountain holiday, displaying the latest information about resorts, snow, and ski routes. In addition, skiers will be able to use the app to locate friends and family on the mountain and connect to Crystal’s resort teams. This investment in technology also means Crystal is even better prepared to deal with the unexpected. Using a variety of communication tools, from Twitter accounts to text messages and live-chats, Crystal will keep customers updated with the latest information. In addition to the customer benefits of the programme, Crystal has also recognised the sustainability benefits of the scheme. Carbon emissions are significantly reduced, not just by being paperless, but also by reducing the amount of travel by the team as customers have the additional option of meetings via Google Hangout and FaceTime. Crystal is ready to take the next step in its digital evolution to help its customers have the best possible holiday in the mountain. Previous Previous post: Emm… About Those Ships we Ordered?